Much of the unsold handmade stock from Thame Fair has now been been put up for sale on the website. 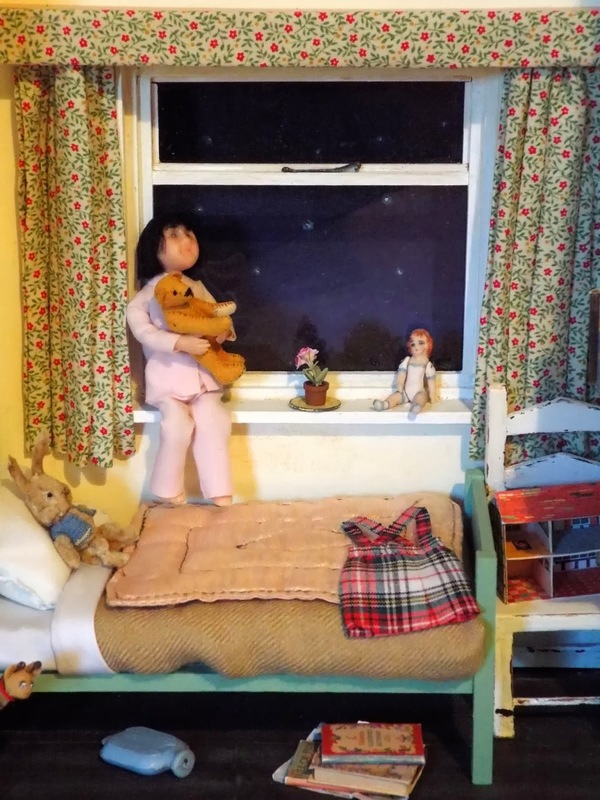 Various items are now available to purchase from the different sections...all have been given an aged look so can be used with either a vintage dolls house or modern reproduction dolls house. 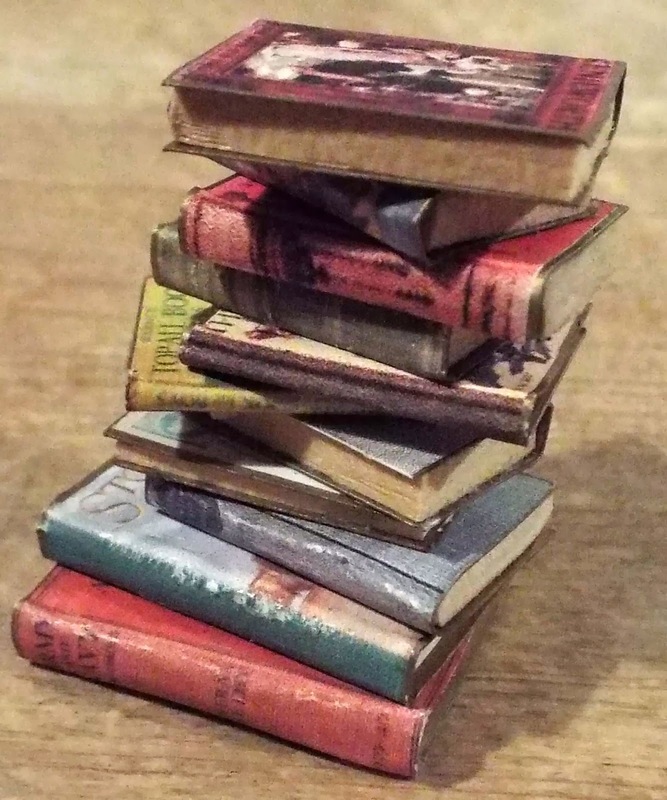 Here on this posting, I have chosen a random selection of handmade items for you to peruse. 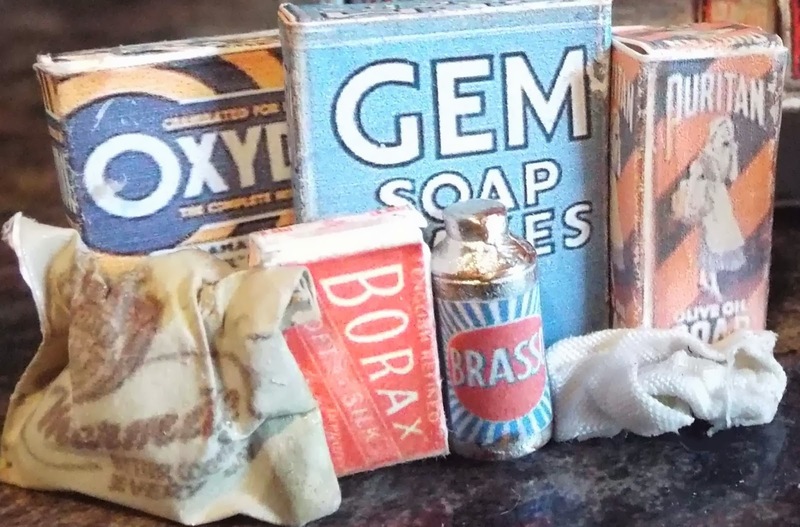 After much deliberation, I have decided to delete entirely the WW2 Items from my Exclusive Handmade Section. This is an end of an era for me as I have been creating within this category almost from the very beginning but now it is time for a change. However, from time to time I may create the occasional item from that era but it will appear in the relevant room on the Exclusive Items Index. 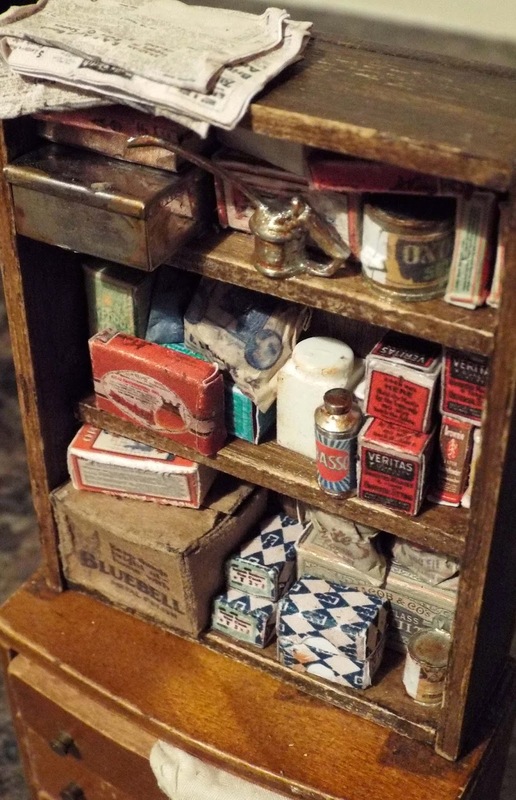 In fact, currently there are one or two 1940s items for sale within the Kitchen section. As you will also have seen on my earlier posting, the vintage style lino is no longer available, apart from two sheets left in 1/24th scale. It simply is no longer viable for me to create..sorry. 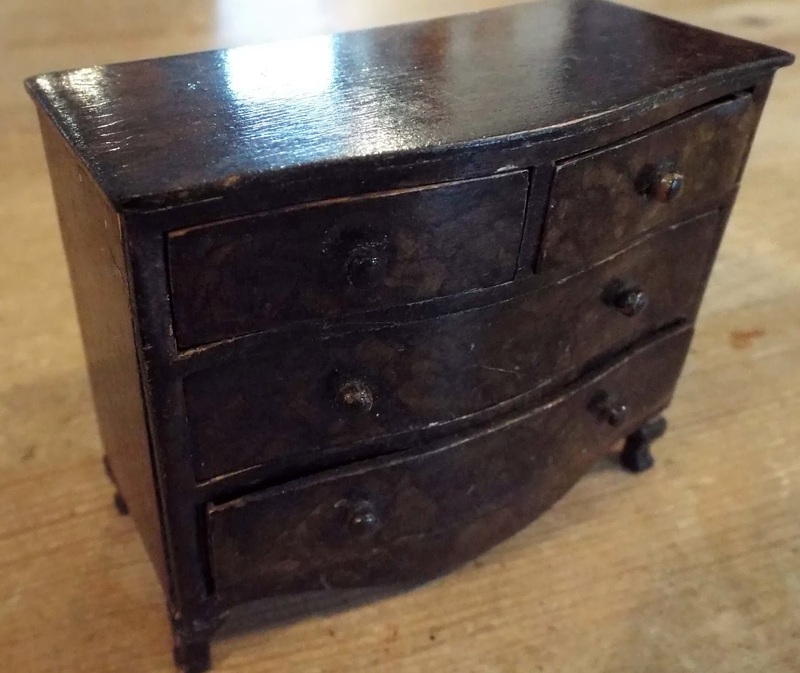 A 1930s Tri-ang chest of drawers for the bedroom. A late 1800s/Early 1900s Art Nouveau Armoire....probably German, for your bedroom. 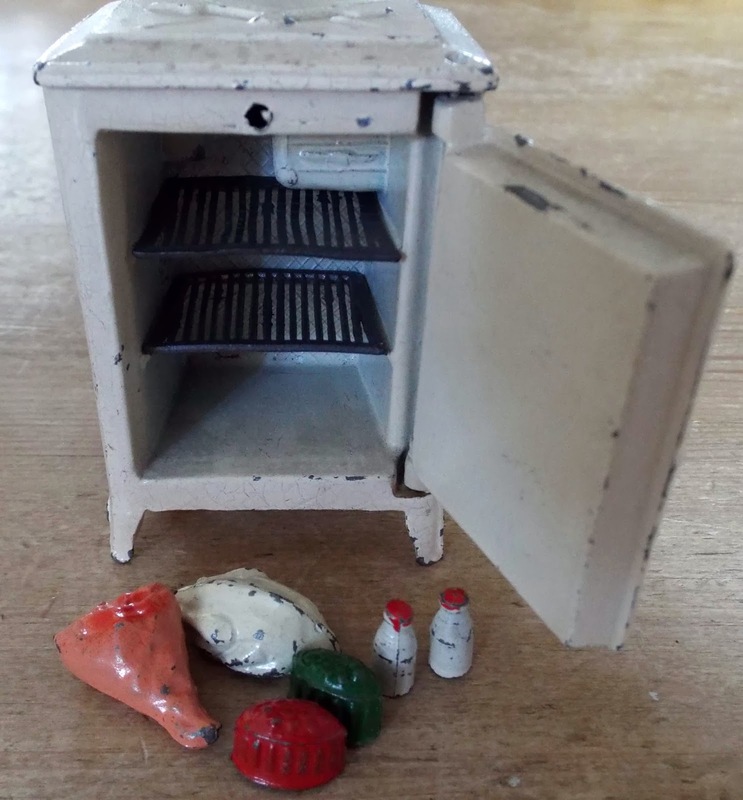 1930s T&B Fridge With Entire Food Contents & Shelves! 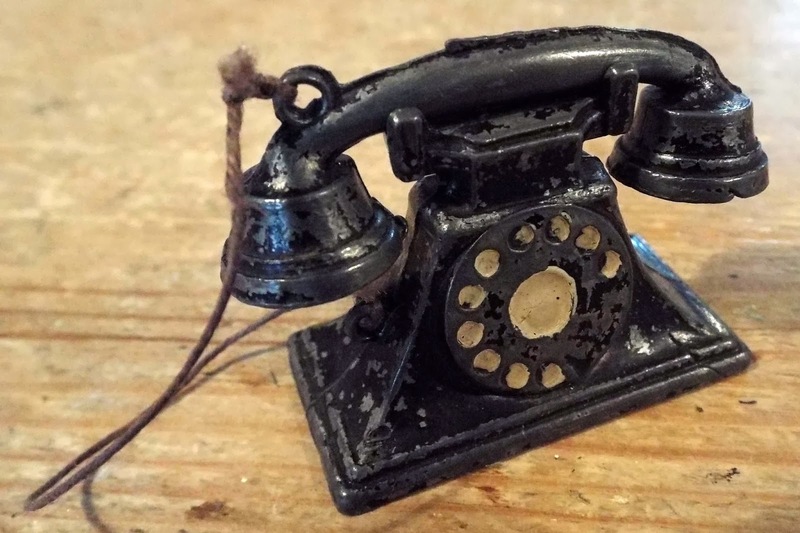 Please click on the following link to take you through to the Antique & Vintage Index Page. The items above can be found amongst the various sections. 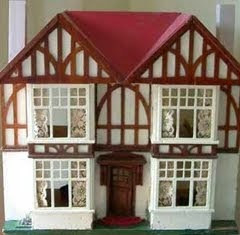 I have quite a bit more to list over the next few days, including at least a couple of dolls houses. All over for another year....phew! 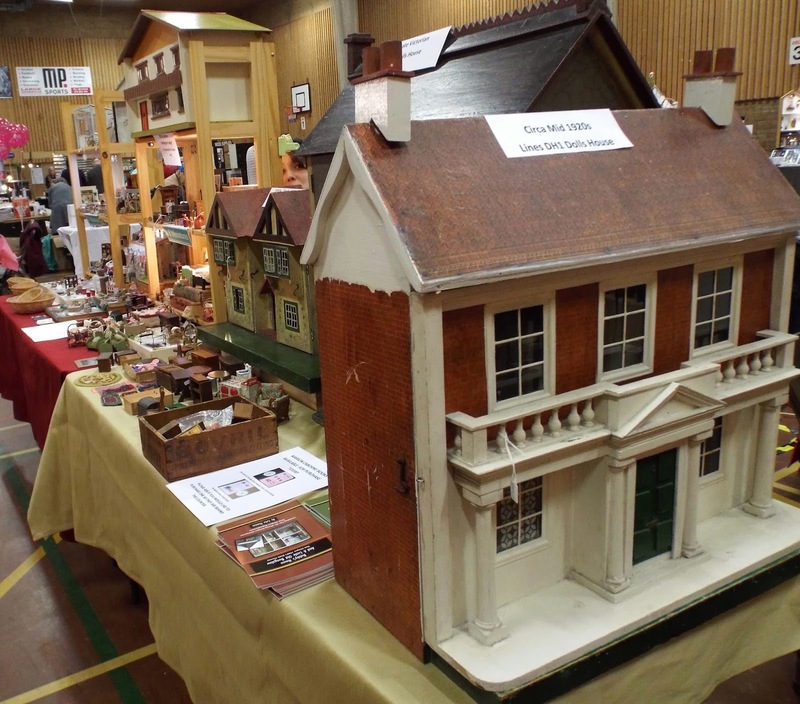 Thank you to everyone who came on Saturday to the annual Thame Dolls House & Miniatures Fair. It was great to see so many of you!! I remembered to take some photos of the stand before the event opened this year...that's a first! As I had been suffering with a nasty virus for days leading up to the event and had actually lost my voice by the Friday, my lovely daughter succumbed to bribes and agreed to come back from uni' for the day to help me out....what a little treasure! Business was brisk as soon as the doors opened but then after a couple of hours, the crowds died down and it remained very quiet for the rest of the day. It was apparent to everyone that the general attendance was down quite considerably-maybe the recent bad weather was a factor. I do have quite a bit of handmade stock and vintage stock leftover from this event now. So after a grand stock take, I will begin listing the handmade items first and then the vintage bits and bobs. Please note that I have decided officially to discontinue making my vintage style lino now, as it simply is no longer viable to make. I have sold out of all 1/12th scale and have just a handful of 1/24th scale left. Felicity and Ron Holland, the fair organisers, will let us know the total raised for Breast Cancer Campaign as soon as possible.....fingers crossed, it will be lots from all the various charity attractions! All Is Ready For Saturday's Thame Fair! 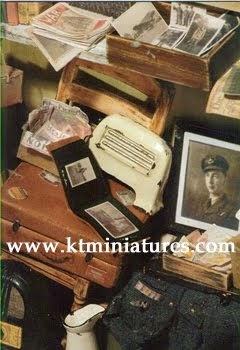 Am pleased to say that KT Miniatures' preparations for the big Thame Fair on Saturday are now complete. 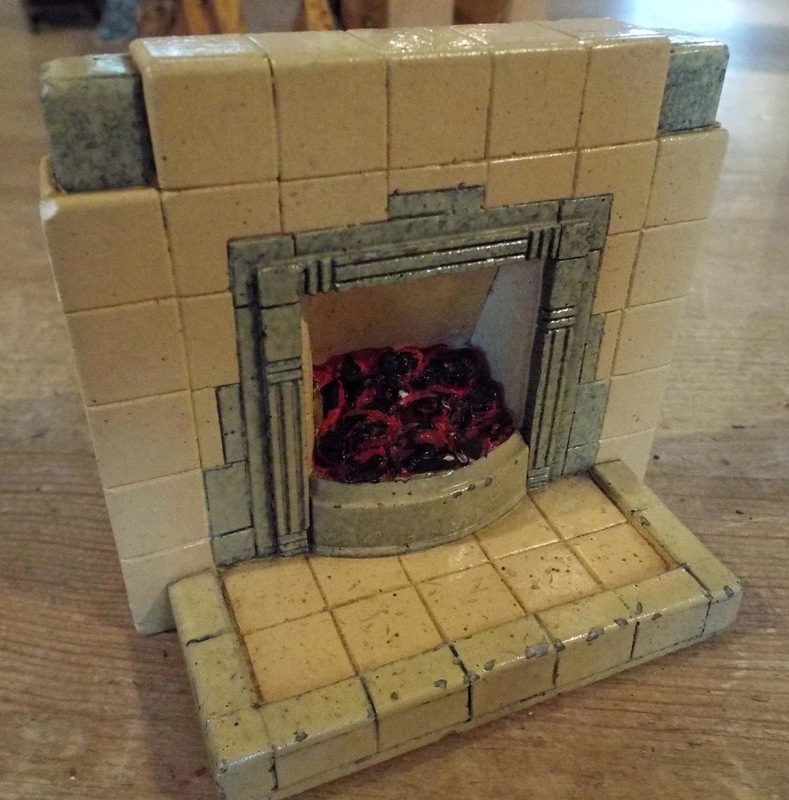 Last week I showed on here some of the handmade items that I will have available on the day. 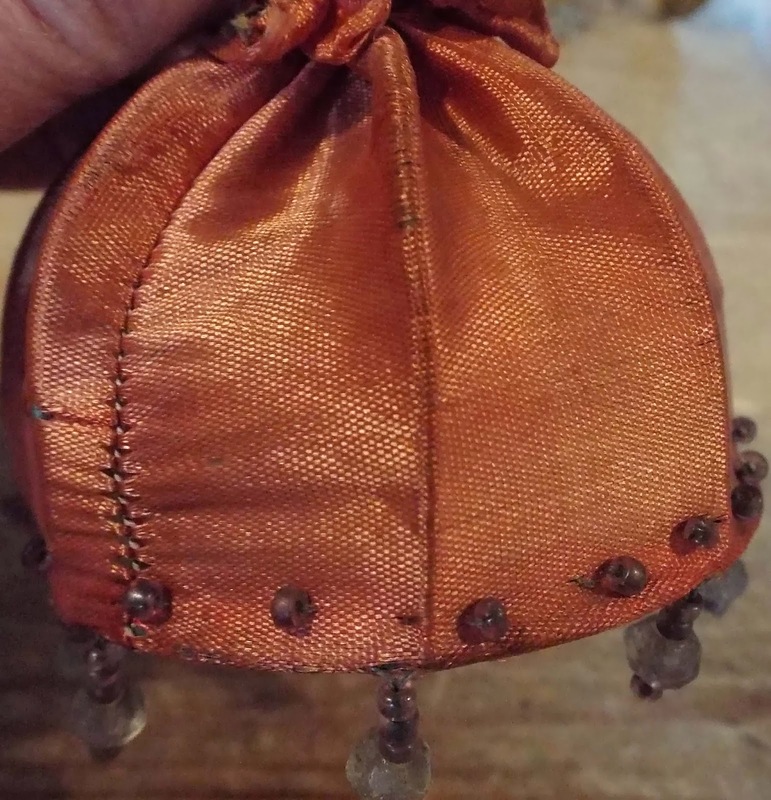 Today, I have a few photos to show you of some of the many antique and vintage items that will be available on the day too. (What is not sold on the day, will go up for sale on the website next week). 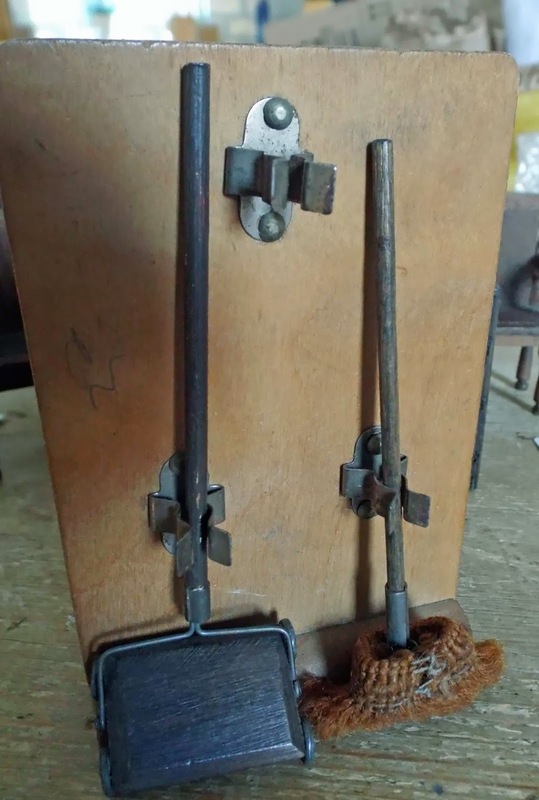 Various Antique Furniture Including 1930s German , Pit-a-Pat & Tri-ang. 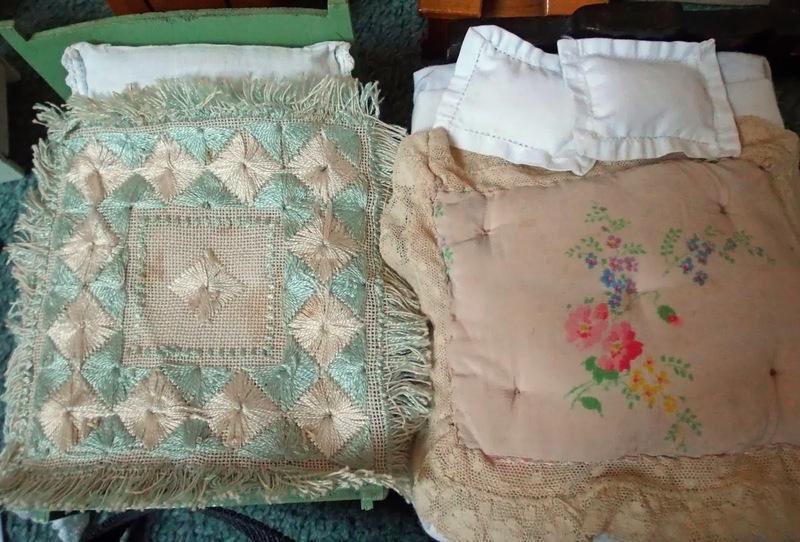 Two Stunning Vintage Beds With Bedlinen. 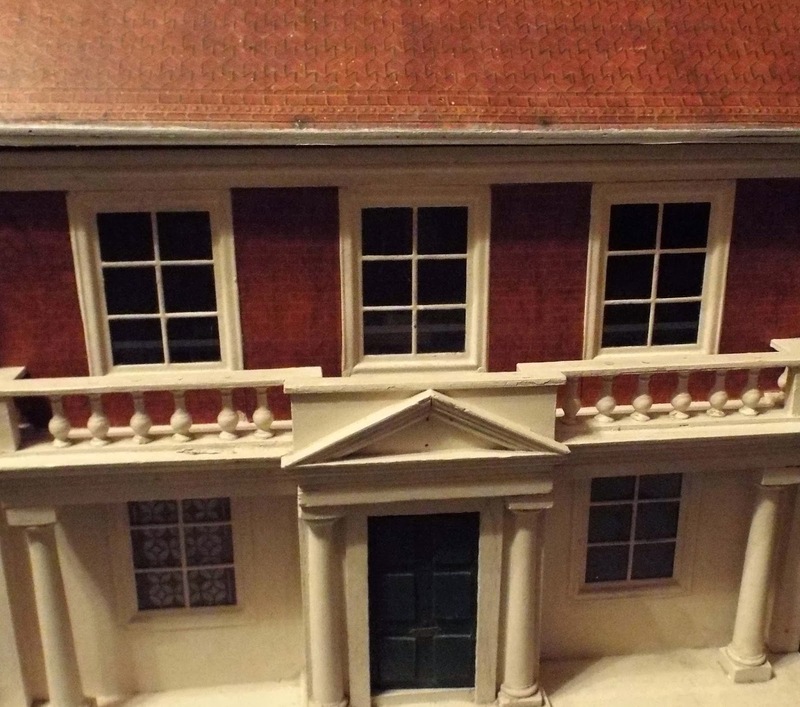 Barton Addington Lodge (comes as a flat pack in original box). 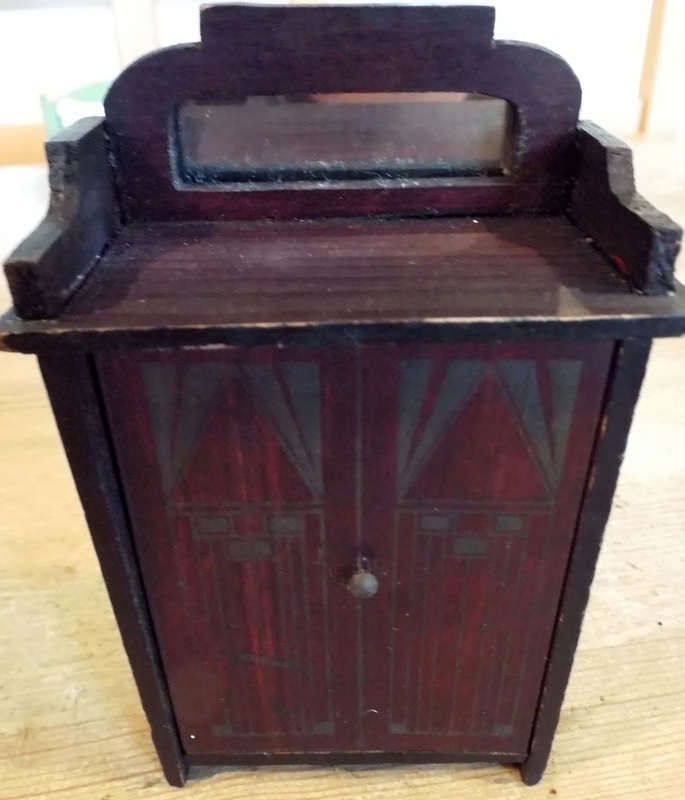 Lines Bros DH/1 Dolls House circa 1920s. 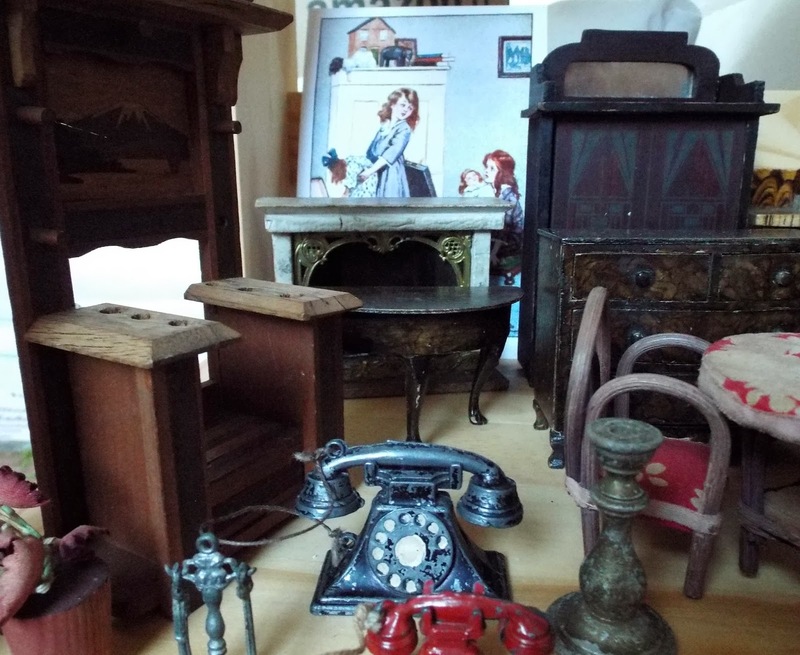 This is only a small selection of antique and vintage goodies I will have for sale on Saturday. To view the full Thame Fair Stock List, CLICK HERE. 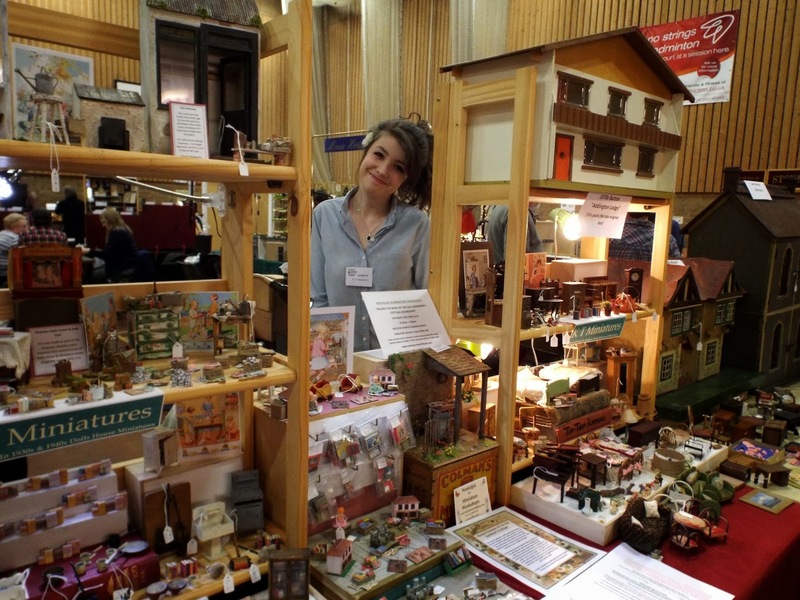 The floor plan now appears on the official Thame Dolls House & Miniatures Fair website, and I am on Stand No 28, my usual spot, in the Main Hall by the double exit doors. My daughter will be helping me out on my stand for the day so please be gentle with her!! Don't forget that there will be many charity attractions at the event too, all in aid of Breast Cancer Campaign, including the Grand Raffle, Miniature Tombola and Sales Table. If you wish to donate anything to the Sales Table, simply bring along on the day and hand over to the lovely volunteers. 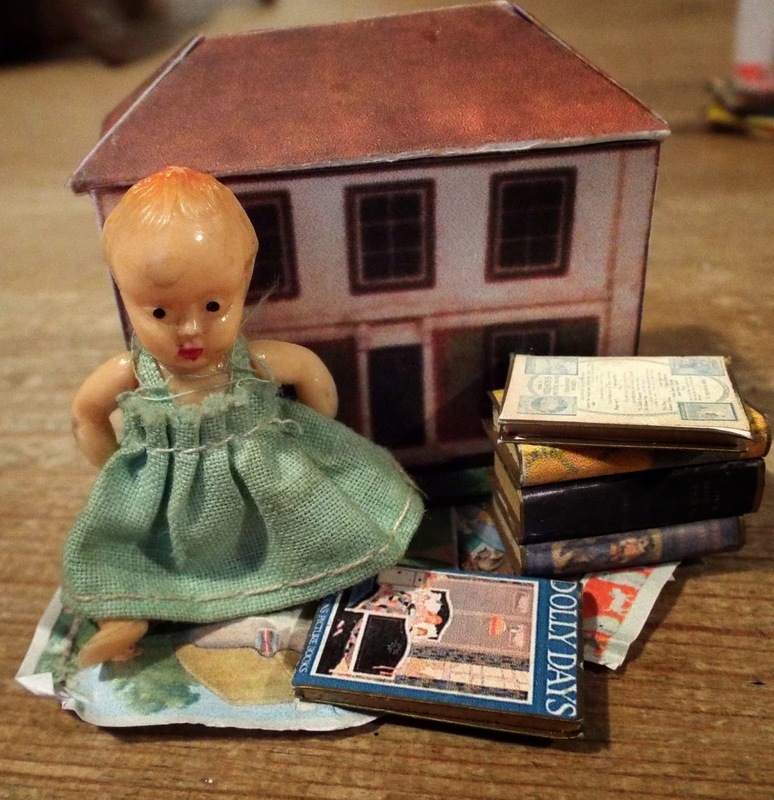 I understand that they will not have room for dolls houses, but anything that is in good condition and miniature related, would be greatly received. Much has already been donated and there are some great bargains to be had. Thame Fair Stock Page Now Taking Shape! 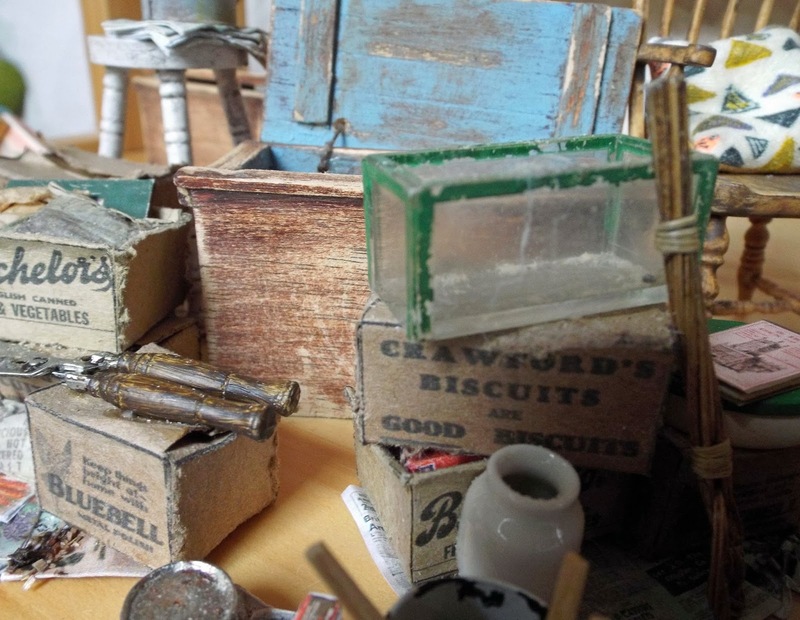 I may have been quiet of late but I have still been beavering away in my workroom.....honest! First up.....I must say a quick word to all of you who have been terribly affected by the floods these past few days here in the UK and high winds....(in fact weeks for some of you). One or two of you have already been in touch, telling me your stories about water flowing through your house and my heart goes out to you! I am full of admiration on how you manage to cope with such positivity and cheeriness. Although we are in for another massive battering tonight and the weekend, I hope I am not tempting providence here by saying that Thame in Oxfordshire is absolutely fine, the water meadows on the flood plain are doing their job beautifully and there is not a problem around here. I have received some worried emails and a phone call from prospective visitors to the Thame Fair next week (Saturday 22nd) already, wondering how bad the flooding is here!! It is a common mistake to assume that the River Thames flows through Thame but it doesn't....it is the River Thame that flows through and entirely different. So we hope lots and lots of you can come to the wonderful annual event next week and hope that we can help cheer you up! 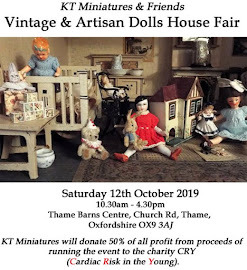 You may have noticed that the annual Thame Fair Stock Page went live midweek, listing many of the my handmade items that will be available at next week's Thame Fair.There is a sliding link on my KT Miniatures Home Page and I will endeavour to add to the list each day. Here are just a few of my creations....there will be lots more on the day but hope that I can tempt your miniature tastebuds! 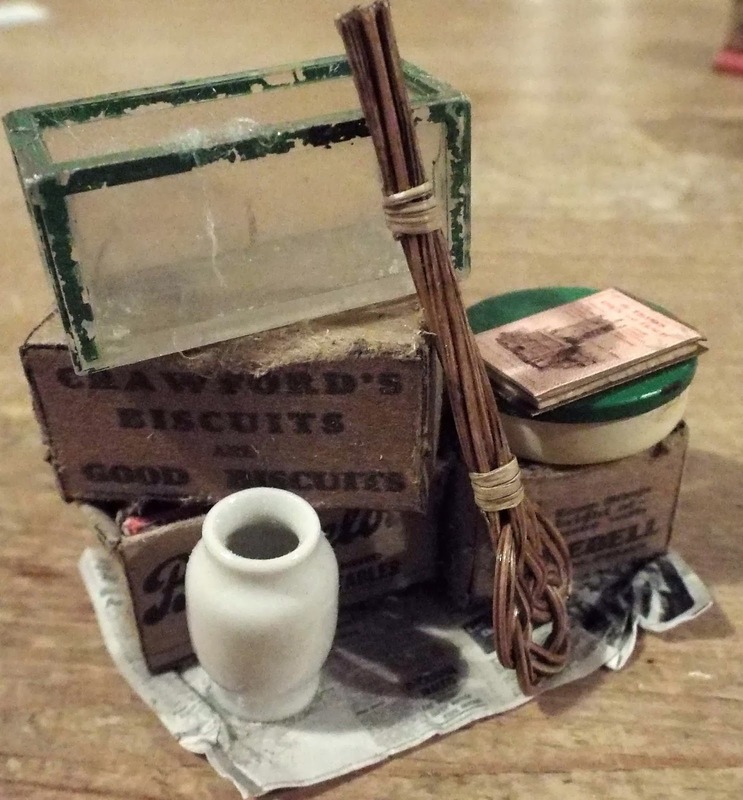 Hahaha... As always, my handmade items are created so that they can be used in both vintage or modern reproduction dolls houses. 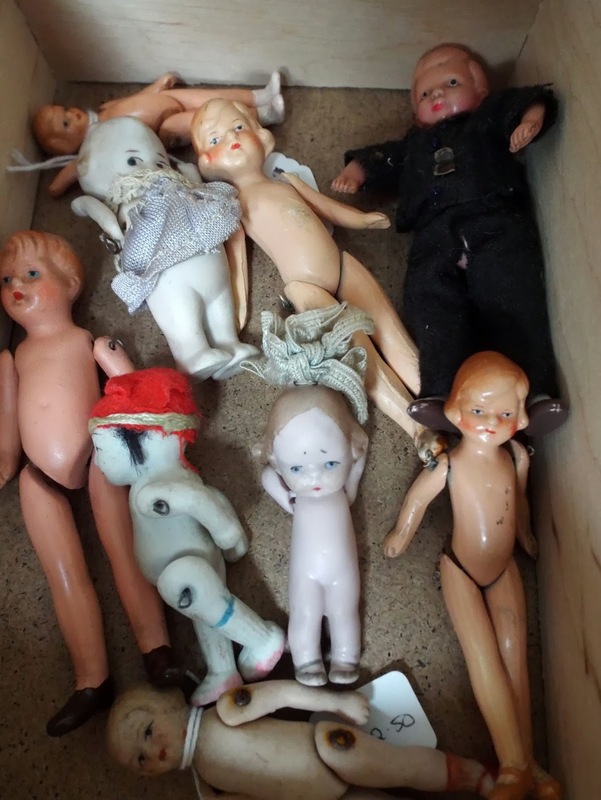 Today I have begun to add a long list of the antique and vintage goodies too. 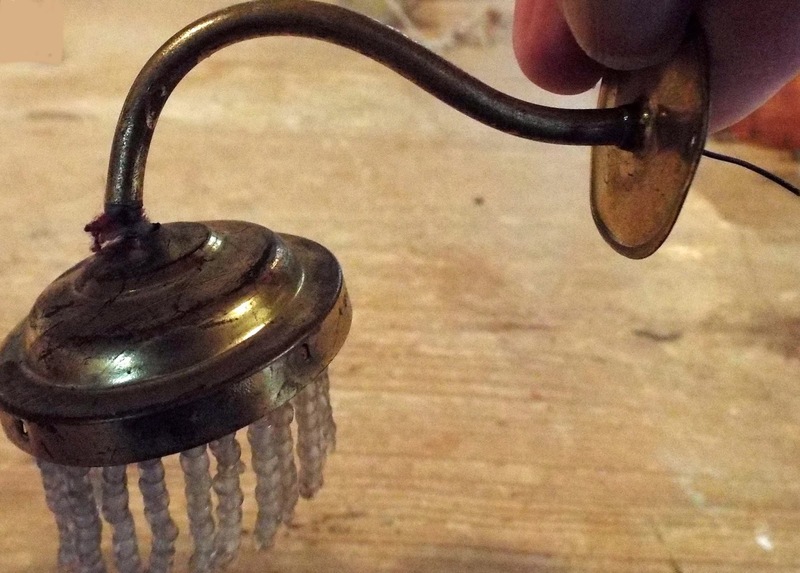 I will feature lots of photos of these old items next week on here. 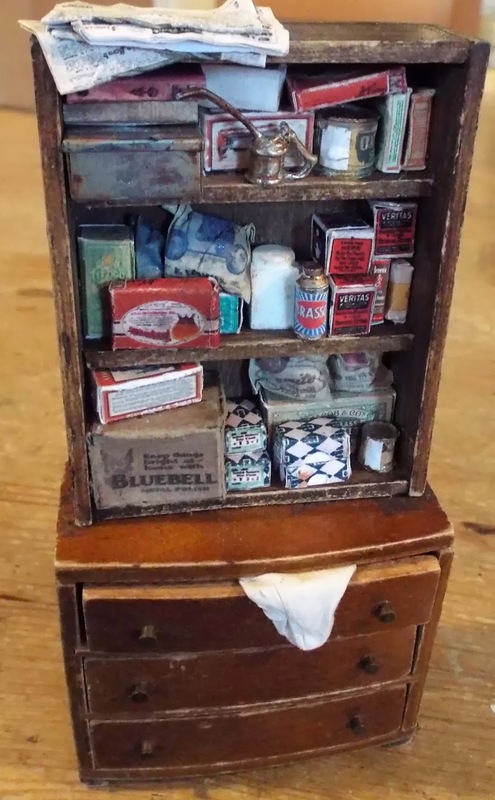 However, in the hope of tempting you, here is a photo of a gorgeous 1920s Lines Dolls House that I will have on my KT Miniatures Stand. Am pleased to say that for the moment, my nursing duties are over and the patient is doing well!! 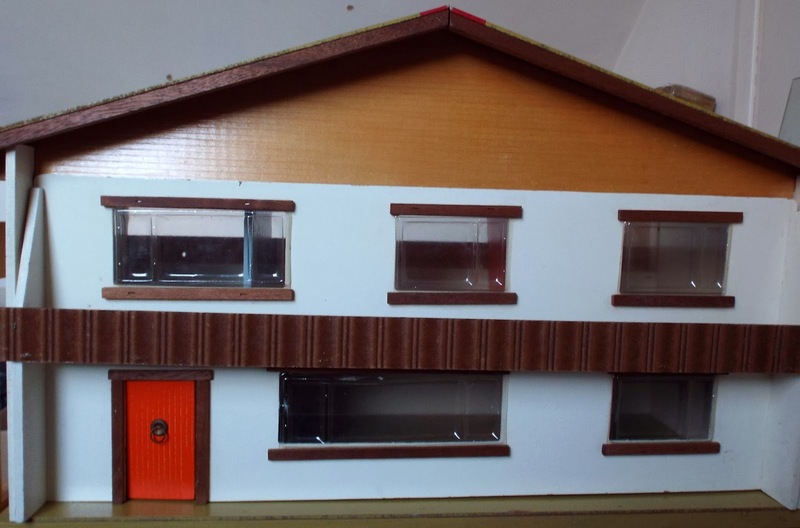 And now I have to concentrate on getting stock prepared for the forthcoming annual Thame Dolls House & Miniatures Fair which is taking place in just over 2 weeks time on Saturday 22nd February. 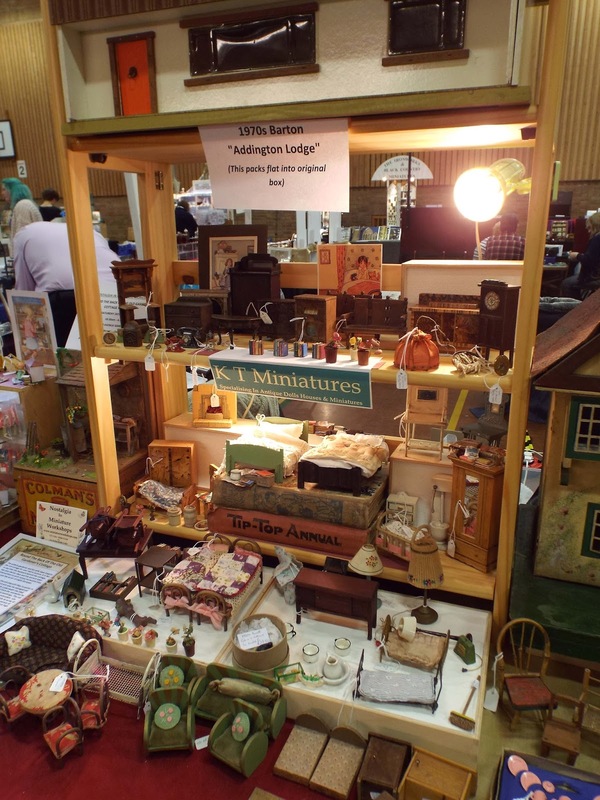 Because of this, I will not be listing any further vintage or handmade stock to KT Miniatures website until the fair is over. Very shortly I shall begin to put up details of the handmade and antique/vintage stock that will be available on the day. 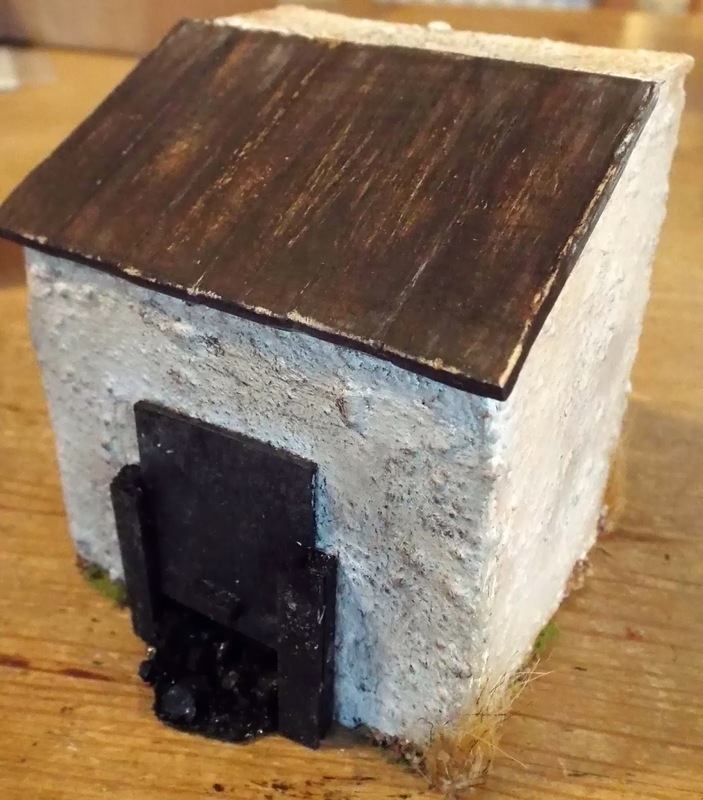 This is just one of the items that I completed only yesterday- for the dolls house scullery or shed! Needless to say that for the next few days I shall be undertaking a spot of intensive creating. 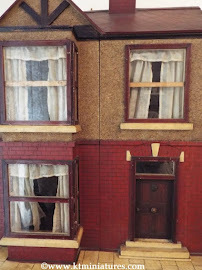 Everything I am making is in 1/12th scale and suitable to be used in both vintage and modern reproduction dolls houses. Gradually, completed items are emerging from my workroom and it feels utterly exhilarating to be creating once more...I absolutely love it! 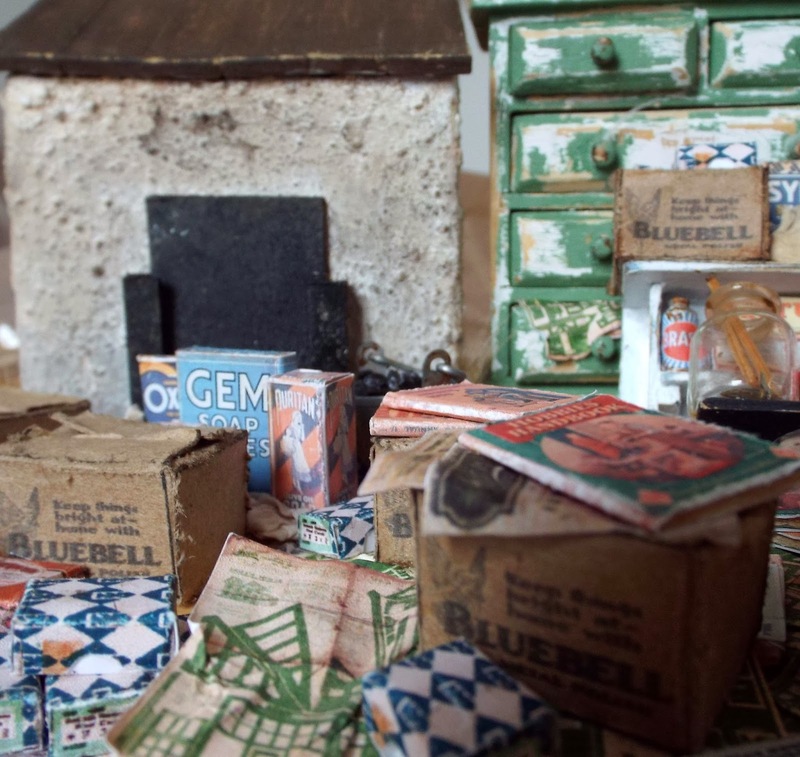 Due to the antique and vintage side of my business taking up so much time these days, I'm just not able to do as much creating as I would like. 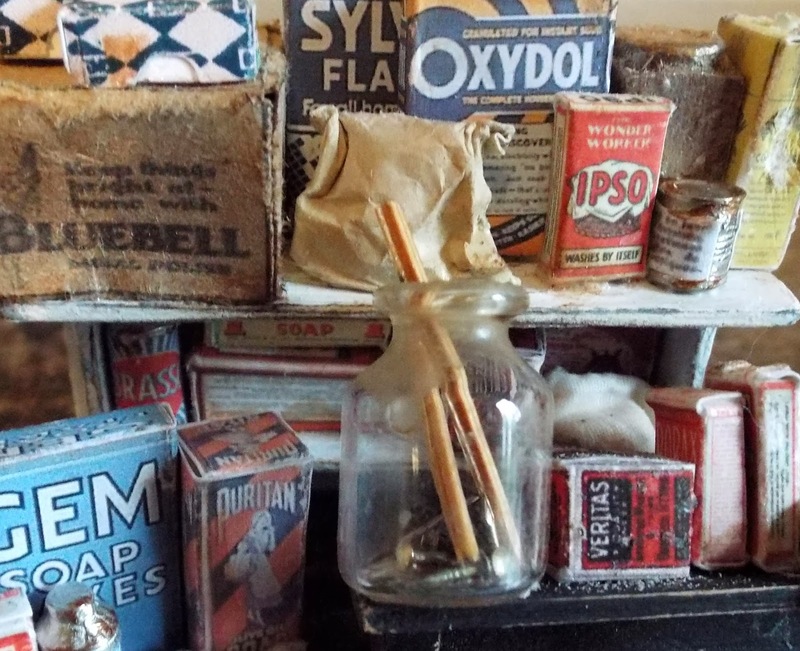 I have also been creating various shelves with vintage packaging for scullery or shed, etc. As usual there will be lots of charity tables in aid of Breast Cancer Campaign, including the infamous Grand Raffle (with lots of prizes from professional artisans), Sales Table (with amazing new & vintage miniature bargains) and Thame Dolls House Club (MTM) Miniature Tombola. 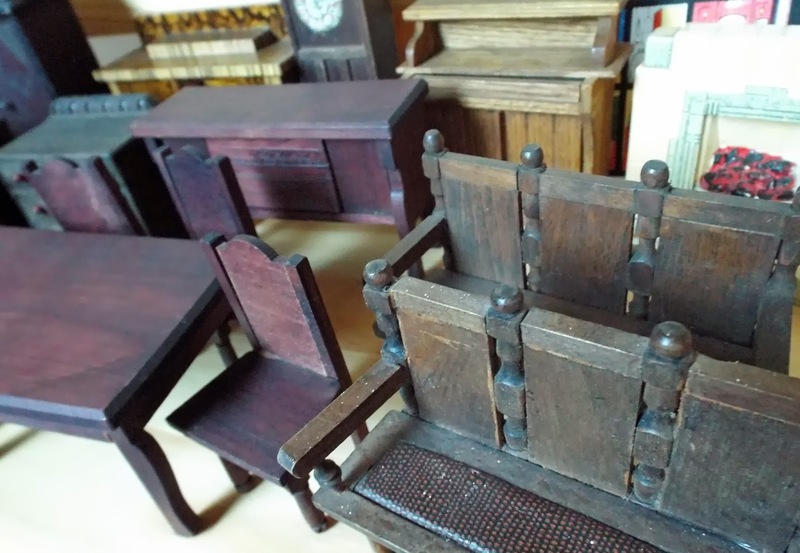 If you have any unwanted miniature items that you can donate to the Sales Table then simply bring on the day and hand over to the team of volunteers on the Sale Table. All will be welcome. PS. 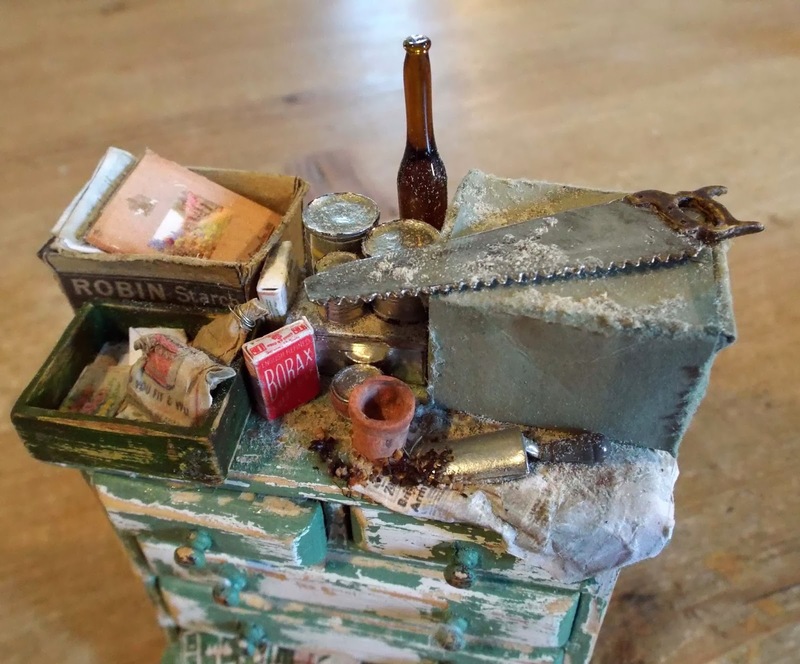 My completed (hahaha-still got a bit to do) Twinkle Twinkle Little Star box....as seen on earlier postings CLICK HERE, will also be on display as part of the Market Town Miniaturists (MTM) Exhibition. Hopefully the night sky will light up behind that window!